There are multiple 80-ft. tall freestanding walls, with bases 70 ft. off the ground that create difficulties. Architectural walls with pilasters and scallops, not to mention sloped radius seating on the balconies and an existing structure that stands 4 inches from the performance hall, made for complicated geometries. 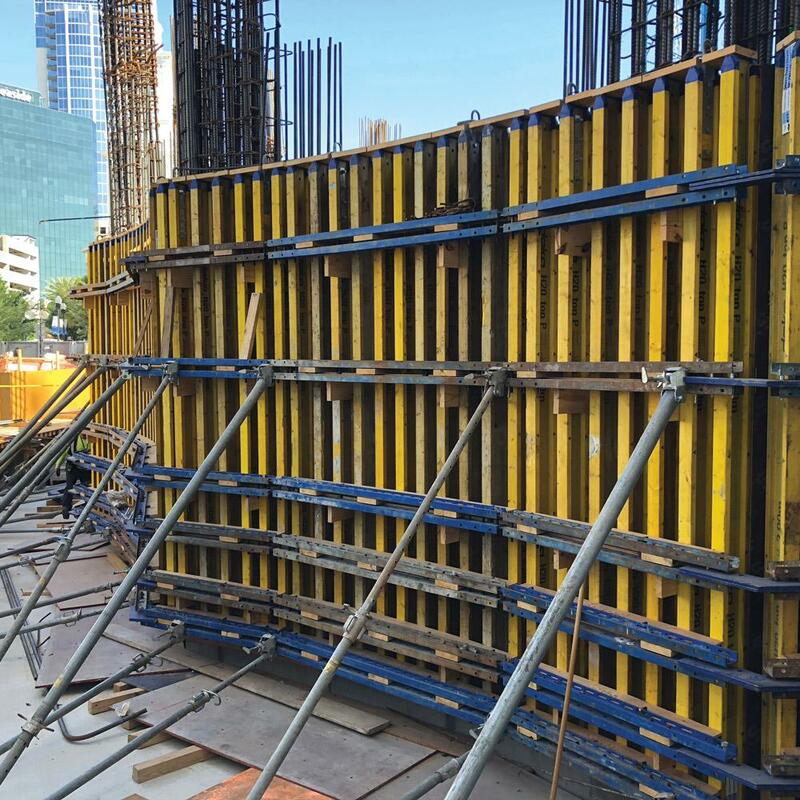 Top 50 wall formwork could be adapted to meet the requirements. 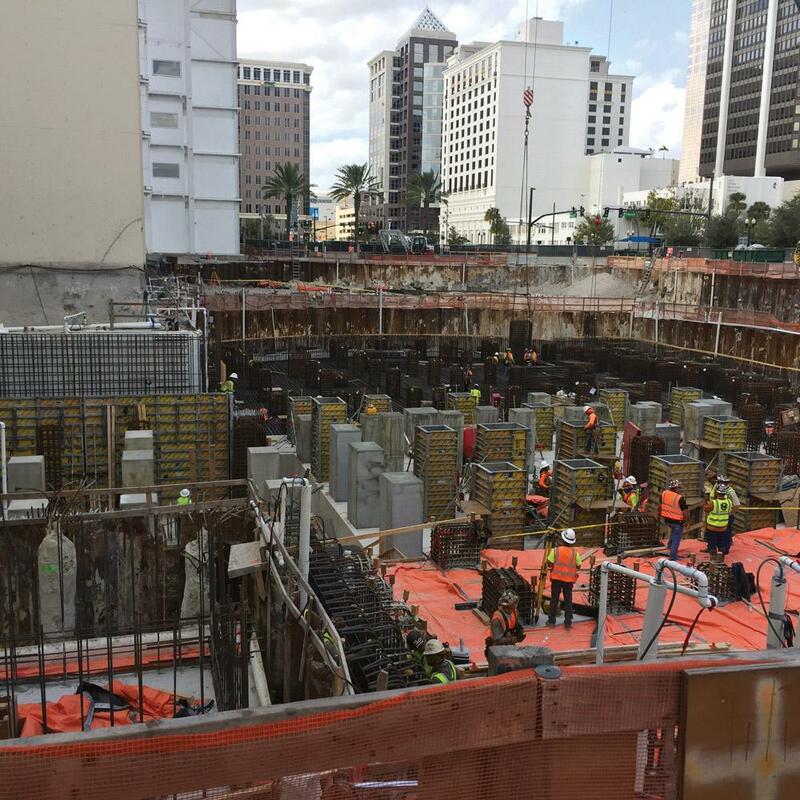 For loadbearing applications, Staxo towers and 10k shoring systems were used in conjunction with Dokaflex floor slab formwork. 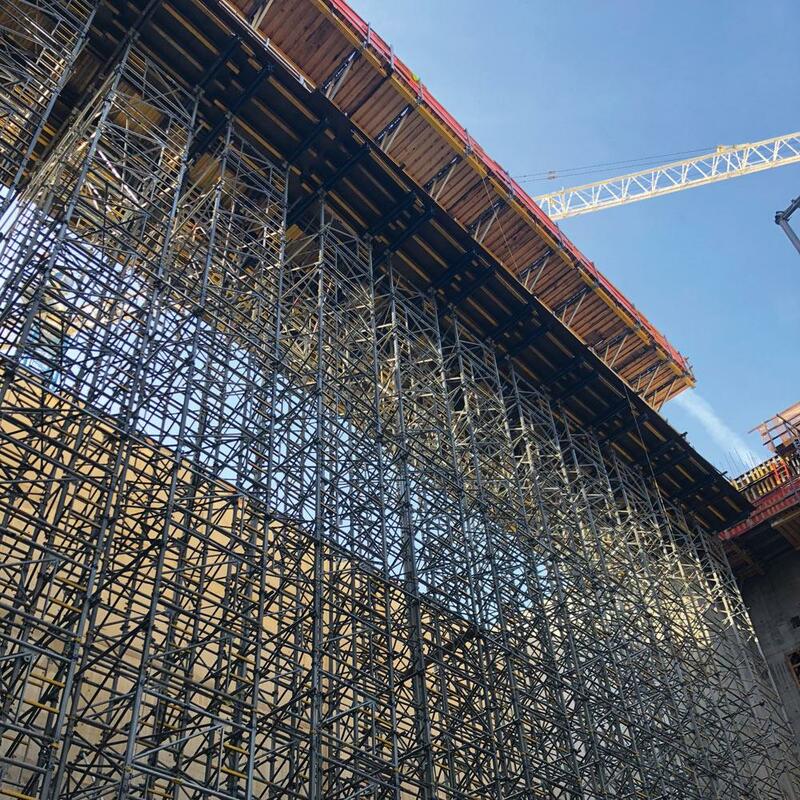 Worker access to all workdeck levels was facilitated by Staxo stair towers. Thank you for your interest - Steinmetz Hall. Thank you very much for your interest - Steinmetz Hall.